The Chamber’s Government Affairs program is at the heart of the organization’s mission for the 21st Century … to be the leading – and most effective — advocate for pro-business and quality of life issues in the entire Tampa Bay area. 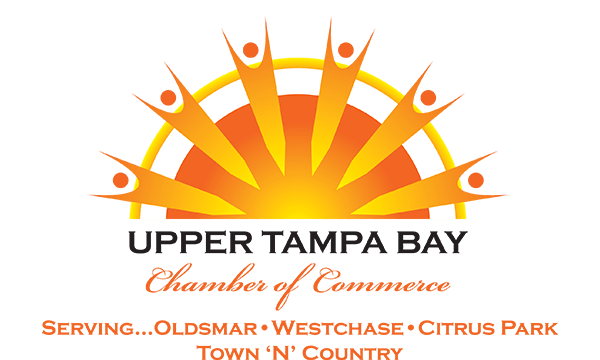 Our Chamber’s geographical location – straddling the Pinellas/Hillsborough county line, at the very center of the six county Tampa Bay area – puts the Upper Tampa Bay Chamber in the enviable position of representing business and community interests which literally span the bay. With that in mind, Chamber staff members and volunteers work year-round to ensure that our city, county, state and federal representatives are aware of the issues which affect the Upper Tampa Bay business community, and that they are actively engaged in our efforts to make our area an even better place to live, work and do business. Locally, governmental issues are monitored by the Chamber’s Economic Development/Government Affairs Committee which meets monthly to consider issues pertinent to its area of interest, and makes recommendations to the Regional Chamber’s Board of Directors on issues that require action and/or advocacy. Chamber staff and volunteer leaders maintain close working relationships with members of the Oldsmar City Council and Hillsborough/Pinellas county commissions, as well as the leadership of most major city and county departments. And our Business Assistance Specialist works tirelessly to bridge the communication gap that exists between local government and area businesses. Working closely with the Florida Chamber of Commerce, the Upper Tampa Bay Chamber is an active pro-business voice both in Tallahassee and Washington D.C., voicing the concerns of the business community that might otherwise go unnoticed. The Chamber also organizes an annual Legislative Luncheon each August, when state and federal lawmakers are invited to meet – and share their views – with Upper Tampa Bay business and community leaders.